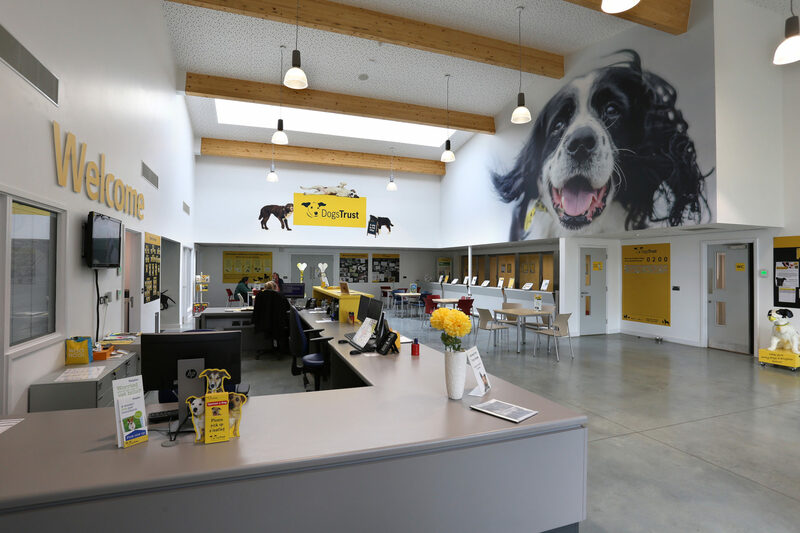 The £8.4m redevelopment of the Dogs Trust Evesham rehoming centre was McPhillips’ fourth major build project for the national canine charity. 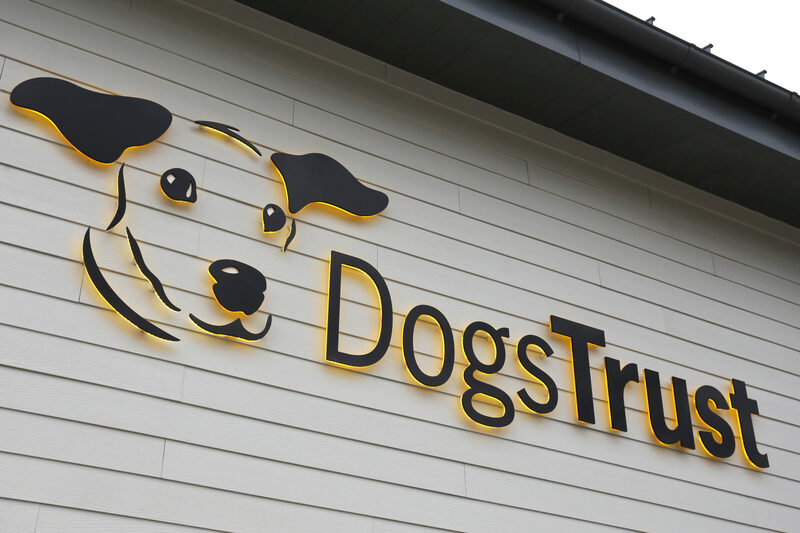 Six new buildings totalling 3147m2 and providing 80 kennels were delivered in two phases in order to maintain public access and the operation of the existing centre. 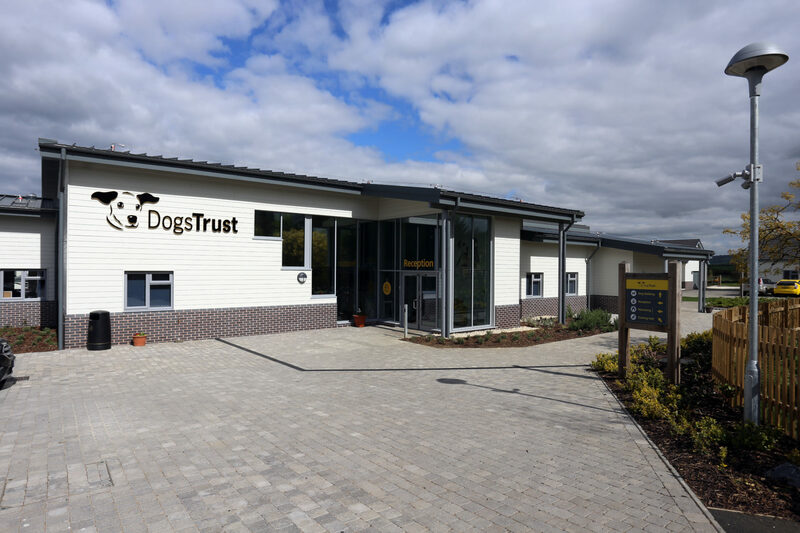 The first phase provided rehoming, training and behavioural assessment and rehabilitation buildings with a vets centre, Intake building and a workshop were constructed during the second phase. 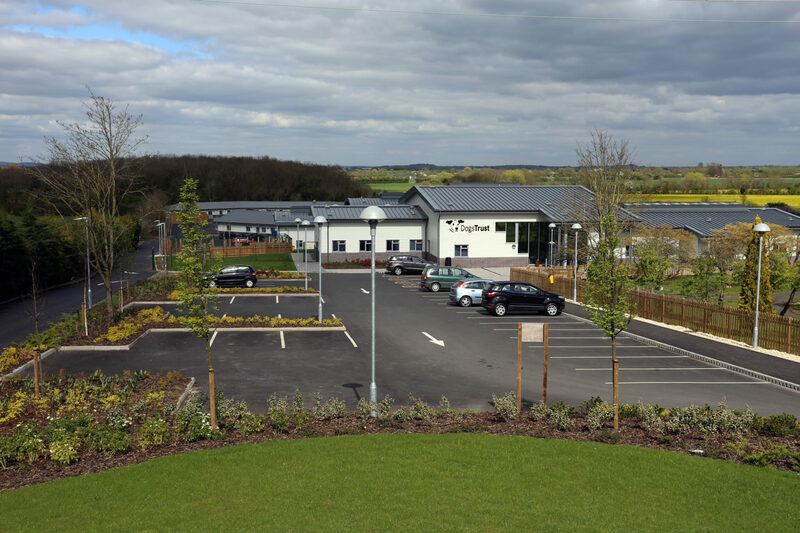 Building construction for the smaller structures has typically used a Metsec lightweight steel frame with composite sheet roofs with the larger rehoming building using a hot rolled steel frame and a Euroclad standing seam roof. Euroform Weatherclad panels with half-height brickwork have completed the envelopes. Drainage has been replaced across the site with a SUDS which drains to a new balancing pond before outfalling to a nearby watercourse. A new biomass boiler was linked to a BMS and serves a district main and underfloor heating to all buildings. 20kWh of PV panels were installed along with a below ground 40,000 litre rain water harvesting tank. Externally the access road was reconstructed and 120 tarmac car parking spaces have been provided. McPhillips managed the presence of bats and newts on the site providing temporary corridors for both species and a permanent bat habitat within an existing barn.